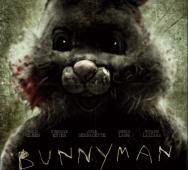 Carl Lindbergh’s Bunnyman Massacre is still alive and here we have a new movie poster attached to the horror film. The horror movie with a rampaging Bunnyman stars David Scott, Joshua Lang, Julianne Dowler, Jennifer June Ross and Heather Daley. Director Billy O’Brien has been working on his new sci-fi horror movie Scintilla. Check out the synopsis and poster below. Scintilla stars John Lynch, Antonia Thomas, Morjana Alaoui, Ned Dennehy, Craig Conway, and Jumayn Hunter. What do you think of this new movie? Robert Rodriguez has officially begun shooting From Dusk Till Dawn: The Series for the El Rey Network. Will this new vampire TV series give The Vampire Diaries and The Originals and run for their money, I hope so! I am a huge fan of the From Dawn Till Dusk universe and can’t wait to see what the 10 episodes of season 1 has to offer. 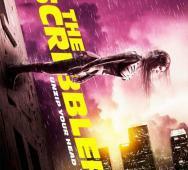 The Scribbler now has an official poster attached to it courtesy of Entertainment Weekly. The adaption of the popular graphic novel has a great lineup of stars including Katie Cassidy (Arrow), Eliza Dushku, Gina Gershon, Michael Imperioli, Billy Campbell, Michelle Trachtenberg, and Sasha Grey to take roles of the different personalities. Cassidy will play a young woman who uses “The Siamese Burn” which is an experimental machine to cure her mental illness of multiple personalities. Tom Green‘s Monsters: The Dark Continent stars Johnny Harris, Sam Keeley, and Joe Dempsie and now has a new sales art poster attached. I personally did not get into the last movie but who knows, maybe I will like this one. This new installment takes place seven years later and expands on the monsters now taking over worldwide. Humans are now officially taken off the top of the food chain. 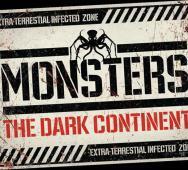 Are you looking forward to watching Monsters: The Dark Continent? 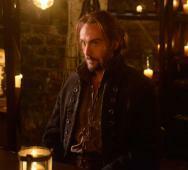 Fox’s Sleepy Hollow has really amazed me and if your not watching it yet, please get caught up by watching the old episodes on Hulu. In the latest episode, The Sin Eater, Ichabod Crane goes missing and John Noble guest stars to deliver an important clue on how Crane can severe the blood tie between him and The Headless Horseman. James Cullen Bressack‘s latest demon movie 13/13/13 has been available on RedBox and is in the top 5 horror movie rentals for the country on RedBox for this month. This upcoming November 5, 2013, you will be able to purchase 13/13/13 on Blu-ray/DVD. I haven’t seen this horror film yet but it is definitely making waves and should be on your radar, especially for this upcoming Halloween. Everyone’s favorite neighborhood serial killer Dexter will soon be killing on Netflix. CBS and Netflix worked out a deal where all eight seasons of Showtime’s Dexter will be available to everyone to stream on demand. 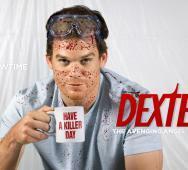 Starting on Halloween, you can stream Dexter season 1-4 on Netflix with season 5-8 becoming available starting Jan 1, 2014. Most people will enjoy the first 4 seasons and watch the rest to see what happens. Dan Walton has just released two new images for Bind and they are extremely creepy. We have seen many movie stills but his are just shocking. Hopefully all other aspects of the upcoming horror film deliver. Walton has definitely raised expectations and now needs to deliver the scary. 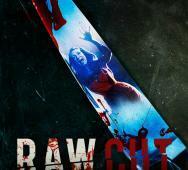 Laura Zoe Quist‘s Raw Cut movie poster has just made the rounds so make sure you check it out. This is another found footage horror film starring Daniel Ponickly, Chistopher Kelly, C. Ashleigh Caldwell, and Zoe Quist. Raw Cut recently premiered at the La Femme Film Festival in Los Angeles on Friday, October 18, 2013. Danny Trejo is killing it lately and has just landed his most recent horror film, A Voodoo Possession. Walter Boholst directs while the film is scheduled to make the rounds next month at the American Film Market. Danny Trejo heading into a Haitian insane asylum packed full of hordes of possessed inmates hungry for sacrificed blood sounds like just what I needed. 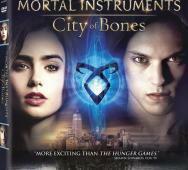 The Mortal Instruments: City of Bones hits Blu-ray/DVD on December 3, 2013. The special features look pretty good including an interactive way for the viewer to learn about the characters lineage, lots of documentary type features, deleted scenes and the music video for the film. I love it when the studios give us more than just the bare minimum movie. Full details from the press release available below. 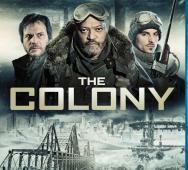 The Colony was a good horror movie that was shot very well. I am glad to hear that the Blu-ray/DVD and Digital Download release date is scheduled for October 15, 2013. Laurence Fishburne, Bill Paxton and Kevin Zegers star in this future of ice and fierce cannibals. No mention of bonus material on the Blu-ray so far in the press release. 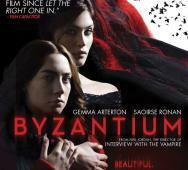 Thats right, Neil Jordan‘s Byzantium is going to drop in stores on October 29, 2013 just in time for Halloween. Saoirse Ronan, Gemma Arterton, Sam Riley, Caleb Landry Jones, Jonny Lee Miller and Danny Mays star in the vampire film. I didn’t get to catch the film on the limited theatrical run but I will definitely set time aside to see Gemma Arterton any day of the week. AMC and director Greg Nicotero has been toiling away to expand our The Walking Dead universe with the addition of webisodes. 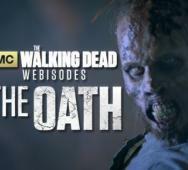 In the three webisode episodes below, are 7-10 minutes each and cover The Walking Dead: The Oath story. Paul and Karina are the last survivors of a massive walker attack with one survivor on the verge of bleeding out. They happen to come across a hospital not completely overrun with zombies. Inside they find a doctor who seems too good to be true. These webisodes star Wyatt Russell, Ashley Bell and Ellen Greene. Christophe Gans is soon going to drop his latest unique spin on a classic tale, Beauty and the Beast. Gans is well known for his previous horror films Silent Hill and Brotherhood of the Wolf. I for one cannot wait to see what Gans breathes to life. Set to star are Vincent Cassel (Black Swan, Irreversible) as The Beast and Lea Seydoux (Inglourious Basterds, Robin Hood, Mission Impossible: Ghost Protocol) as Beauty. The Banshee Chapter has one hell of a movie poster. It looks totally fresh and really disturbing. This horror movie is also something new that tries to mix government conspiracy with horror. Michael McMillian from True Blood takes a military grade experiment serum and now all hell breaks loose. American Horror Story: Coven is about to premiere this upcoming October 9, 2013 so FX has been kind to drop four new posters. The posters are title “Cursed”, “Shoes”, “Spellbound” and “Voodoo Queen”. The Shoes poster is blah but the others are great! The new season three of American Horror Story stars Jessica Lange, Kathy Bates, Angela Bassett, Sarah Paulson, Frances Conroy, Gabourey Sidibe, Denis O’Hare, Patti LuPone, Evans Peters, Taissa Farmiga, Lily Rabe and Emma Roberts. 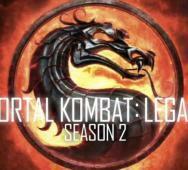 Mortal Kombat: Legacy Season 2 - Ready to Watch Now! William Brent Bell (The Devil Inside) directs werewolf movie WER starring A.J. Cook (Criminal Minds), Simon Quarterman (The Devil Inside), Vik Sahay (Chuck) and Brian J. O’Connor (Epic Movie). WER is about a defense attorney named Kate Moore (A.J. Cook) who must defend her client against a brutal murder charge. Talan, plays the lead and is accused of killing an American family. Kate will soon learn that although Talan appears to be gentle, he is in fact a vicious werewolf in disguise.